that chase is a desentant of the 5th blood line, and "one of them". 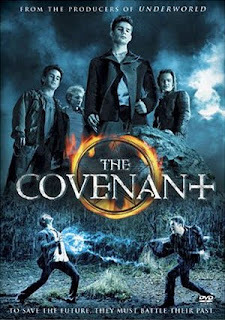 we find out that the reason that chase is here, it to get the other members of the covenant's powers. by having them "will it" to him. on caleb's birthday, caleb and chase get into a fight to the death. caleb ends up killing chase (or so we think). chase gets thrown into a fire and his body is never found, so the boys assume that he is dead, saving himself, the covenant, and all of their loved ones.